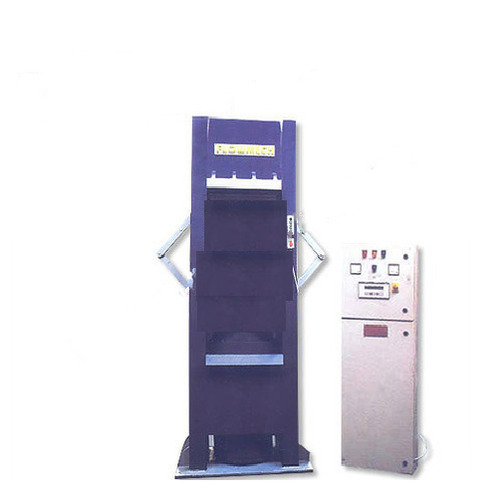 Our Hydraulic Molding Press is designed to increase the production and is suitable for brake lining, rubber components like rubber mats, mica, rubber auto components, plywood pressing, wax filtration, rubber flaps, scooter mats, etc. with multi production. Its most special feature is the mechanical scissor arrangement which saves the time of air breathing/multi degassing. Hydraulic Molding Presses are also equipped with advanced technology of adjustable air breathing system. We are manufacturing and supplying a wide range of Heavy Duty Multi Day Light Rubber Molding Hydraulic Presses. This range is highly demanded by the clients for catering sturdy performance and high strength. 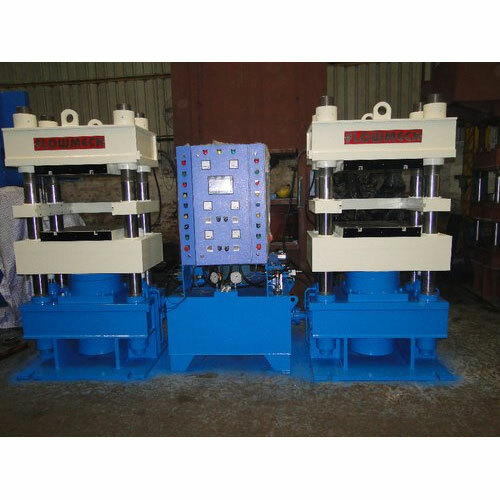 » Hydraulic Molding Press is available upto 4000 Ton Capacity as per the Customer Requirements. » Hydraulic Molding Presses will be available in Pillar / Gate / H-Frame Type.